Mark is the founder and president of Family First. His MarkMerrill.com blog, the Family Minute Radio Program, and the Family First Podcast deliver marriage and parenting advice to thousands of people every day. 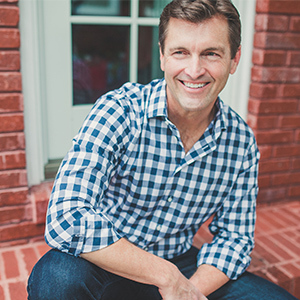 He’s the author of All Pro Dad—Seven Essentials to Be a Hero to Your Kids, and will release Lists to Love By for Busy Wives: Simple Steps to the Marriage You Want, and Lists to Love By for Busy Husbands: Simple Steps to the Marriage You Want, both co-authored with his wife, Susan, in 2017. He speaks on family issues all across the country, and has appeared on Fox and Friends, The Today show, and CBS, and ABC television stations. Mark and Susan have five children, one son-in-law, and two dogs. In the 25 years since he and Susan started Family First, Mark has dedicated himself to doing his best to love his family well, and encouraging others to love their families well too.